We are excited to announce a new online feature that will make the Museum more useful and accessible than ever! 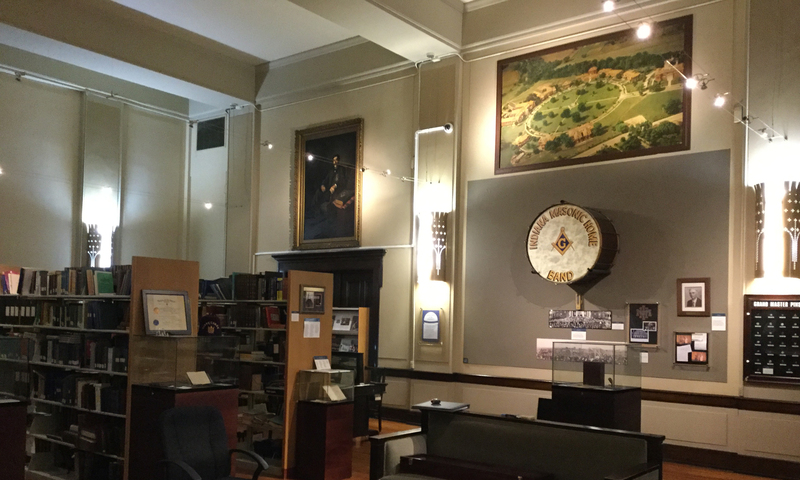 While we regularly change our exhibits at the Masonic Library & Museum of Indiana, it reflects only a tiny portion of our vast collection. In the years that we have been located in our present home in Indiana Freemasons Hall (and with the dedicated assistance of our IUPUI Museum Studies interns), we have been carefully cataloguing all of our various artifacts. We use a specialized program, PastPerfect Museum Software, to document and track all of our objects, whether you actually see them on display or not. Now, through our association with Past Perfect Software, we are making it possible to view the collection online. Clicking on our ONLINE COLLECTION link will open a separate PastPerfectOnline portal that will let you access and search the photographic and written records. Take the opportunity to browse our collection and see what surprises we have in our vaults! 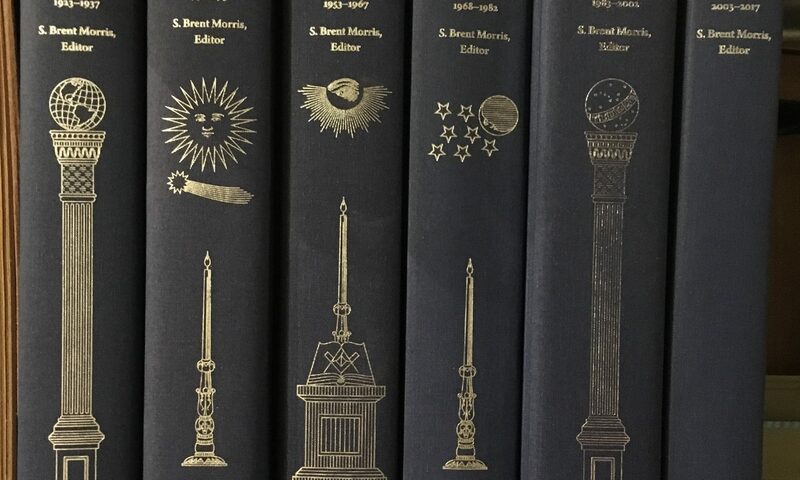 The Masonic library and Museum of Indiana has just acquired a new six-volume collection of the Masonic Service Association’s Short Talk Bulletins. 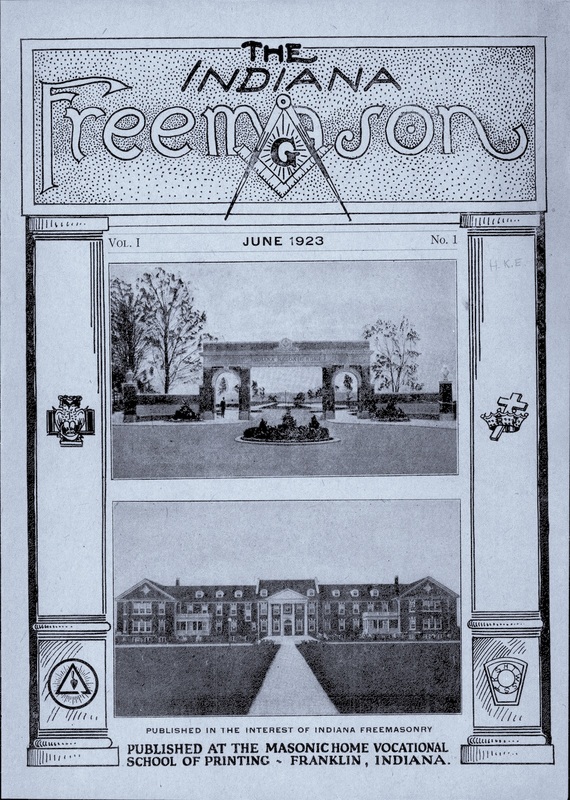 The MSA has published a Short Talk Bulletin virtually every month since 1923. They were conceived in pre-internet days as a partial answer to the howls from Masons back in the 1920s and before—right up to today—who begged for Masonic education at their lodge meetings. 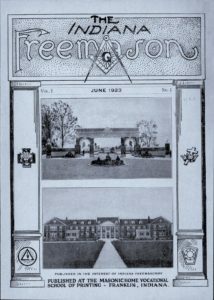 If Masons wouldn’t do research themselves, and grand lodges published lousy newsletters and magazines, so the thinking went, at the very least the little STB always offered a monthly dose of ready made, discussion-provoking material. Today, the entire set is a treasure trove of knowledge on hundreds of topics, presented in more than 1,000 concise articles. Our old collection of the original STBs was incomplete and hadn’t been updated in over a decade. Additionally, they took up three sets of shelves and were not indexed. The entire collection through 2016 has been freshly edited, typeset, and indexed by S. Brent Morris, editor of the Scottish Rite Journal. This makes them far more useful and accessible than ever before. Both of the elevators in the Indianapolis Masonic Temple are now fully operational, and the Masonic Library & Museum of Indiana is once again accessible to anyone unable to use the steps. We apologize to anyone who was inconvenienced by the service interruption or prevented from visiting, and we hope you will visit us soon. Sometime between 1860 and 1880, Indiana Freemason George S. Frank spent hundreds of hours hand-crafting about 70 distinct, recognizable Masonic symbols, assembling them into a detailed puzzle-like montage. This intricately hand-carved Civil War-era wooden sculpture is a one-of-a-kind piece of Masonic folk art the likes of which you will never find anywhere else: an expression in wood of all three Masonic degree tracing boards. It must be seen in person to fully appreciate this sculpture, as it is nearly impossible to photograph. The term “folk art” was used during the 1700s and 1800s to describe works of art made by craftsmen, manual laborers, peasants, tradesmen, and working-class people. Folk art is very different from the sort of formalized artwork that usually hangs in museums and galleries. It is created by everyday people, not trained artists, and is usually made from everyday objects and material as an expression of their emotions, their passions, or their ideas. And sometimes, Freemasonry and its symbolism has been the inspiration for incredible works of that expression by individual Masons in the unlikeliest of forms. As you peer into the sculpture’s recesses, each new viewing reveals even more details, and nearly any Masonic symbol you can think of from the first three degrees appears somewhere deep within its many layers of carvings. Brother Frank even used locks of his own hair for the three human carvings. 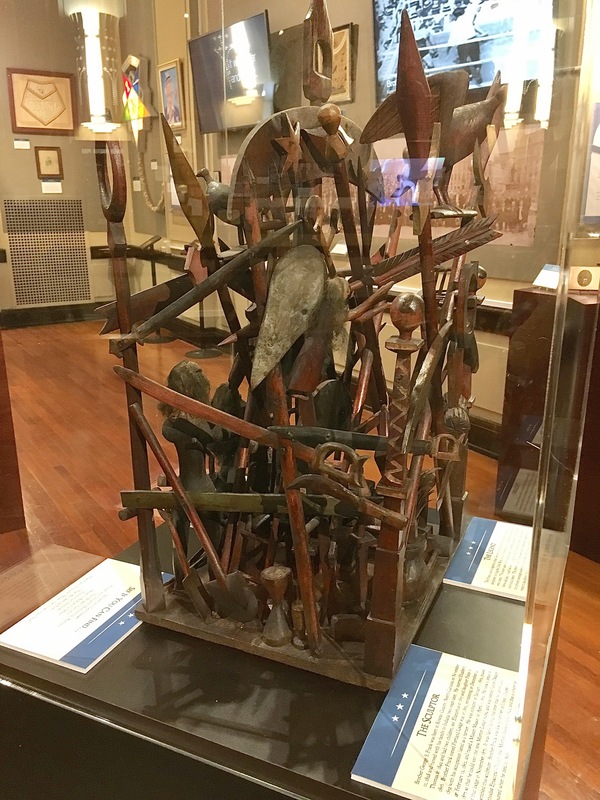 While the overwhelming majority of the sculpture’s carvings are recognizable as Masonic symbols, there are a few that are not, including the large bird with unfurled wings on the top, and several Medieval staffs or spears that help connect the structure together. In 1830, two year-old George S. Frank’s family uprooted themselves along with several of their neighbors from North Carolina and headed West. 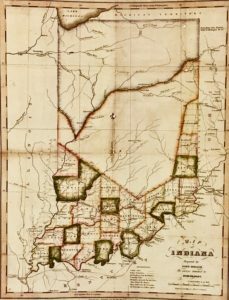 The three month long trip took the Frank family from North Carolina across winding trails, paths and unimproved roads until they finally reached the Cumberland Road which led West to the small village of Indianapolis. There they were informed that Portland Mills was a thriving town “about fifty miles farther west with a good grist mill, a tannery, and stores where salt, calico and other necessary supplies” could be obtained. They settled around Portland Mills in Parke County, Indiana along the Big Raccoon Creek, near what was then called Mansfield Lake (later Raccoon Lake). Portland Mills had been established in 1821 as a settlement along an old Indian trail, just nine years before George’s family arrived, and there was soon a grain mill, a saw mill and a distillery built on the creek. When the Franks arrived, the town was surrounded by a dense forest of white oaks and yellow poplar trees towering 100 feet. In addition, there were huge sycamores, sugar maples, black walnut, ash, red elm, sassafras, pawpaw and crab apples. Constantly spanning the numerous creeks and streams that crisscrossed through the local countryside presented both opportunities and challenges to the local farmers and businesses. Bridges became vital to the area to serve the growing number of mills along the creeks, but stone structures were too expensive, and open wooden bridges deteriorated far too quickly. Covered wooden bridges, on the other hand, had a much longer service life. By the time young George had reached adulthood, the area was already known for its industriousness and creativity in the art of engineering, woodworking and carpentry. Between 1847 and 1920, Parke County, Indiana would erect almost 60 distinctive wooden covered bridges—more than any other county in America—and it eventually became a center for two of the country’s major covered bridge manufacturers. George Frank’s endlessly fascinating Masonic sculpture is perhaps an expression of that unique heritage of Parke County. The Masonic lodge was established at Portland Mills in 1851, along with the first post office. Brother George S. Frank petitioned the newly chartered Portland Lodge No. 90 late in 1851 at the age of twenty-three, and became a Master Mason the next year, stating his occupation as a farmer. A little over twenty years later in 1873, he moved his membership to a newer lodge, Morton Lodge No. 469, where he went on to serve as a Junior Deacon. It’s possible that the tiny village of Morton was closer to his farm than Portland Mills had been, and he transferred there just after the newer lodge was chartered. In addition to his farm, he served for a few years in the early 1880s as the Postmaster of Brick Chapel, the next tiny community that lies south of Morton. George was also a member of Union Chapel Methodist Episcopal Church near Morton, Indiana. He joined the congregation in 1849, and was buried in the cemetery there in 1896. The village of Portland Mills no longer exists today, as it was submerged in 1959 when the Mansfield Dam was built and Raccoon Lake became a reservoir. Portland Mills had the unique distinction of being in two counties and four different townships. It was within Clinton and Russell townships of Putnam County, and also Union and Green townships of Parke County. At one time the community was in two separate Congressional Districts. But there is an especially tantalizing tale concerning the creation of this artistic demonstration of devotion to the symbolism and fraternity of Freemasonry. When the Civil War broke out in 1861, Portland Mills was eager to support the Union cause. It has been claimed that this community supplied more fighting men than any other of its size in Indiana, and the area’s covered bridges were used to help train local soldiers in fighting around structures. The Frank family legend states that George S. Frank served in the Union Army, and that he actually carved the pieces of this sculpture during the Civil War while imprisoned in a Confederate prisoner-of-war camp. The legend says that Frank did so to preserve his sanity, and “swiped firewood and traded his own rations for bits of wood” in order to carve each individual piece. The legend concludes that Frank assembled these various pieces together into the present three-dimensional montage sometime in the 1880s, after the war. The underside of the sculpture’s platform is stenciled, “M. O’Connor & Co. Indianapolis, Indiana,” which was a general merchandise supplier in the 1870s. This was likely a scrap piece of wood Brother Frank later obtained that allowed him to mount his collection of disparate carvings. Following his death, the sculpture remained in the possession of Brother Frank’s family. 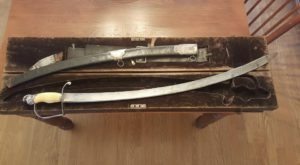 In the 1920s it was stored in their coal shed near Rockville, Indiana, until it was found and given to the Scottish Rite Valley of Terre Haute Museum in 1971, where it was on display for the last 45 years. 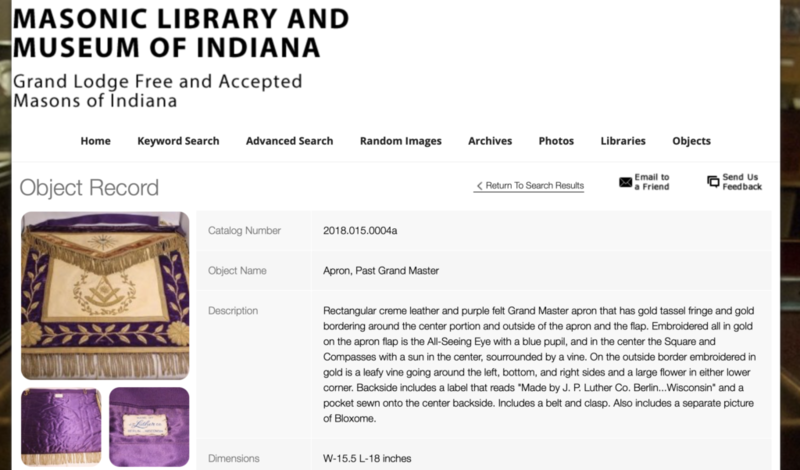 The Masonic Library and Museum of Indiana acquired the sculpture on September 13, 2018. Our research has shown that a ‘George S. Frank’ from Indiana and born in North Carolina did serve in the Civil War but was inducted at age 31 (not 21 as our Masonic artist would have been). This may have merely been an error on the paperwork. However, we cannot prove or disprove specifically that Brother George S. Frank of either Parke or Putnam County, Indiana was ever a prisoner of war. If the legend can ever be verified, this sculpture has even greater significance as military prisoner-of-war art, or “trench art” from the Civil War era. In fact, the Indiana War Memorial was convinced enough by the story that the sculpture was exhibited there for several years on loan from the Scottish Rite. We are continuing to research Brother Frank’s story and possible military record. Nevertheless, this beautiful sculpture has survived to show us an exquisite example of what Freemasonry means to many of its members, and the sort of dedication it inspired. 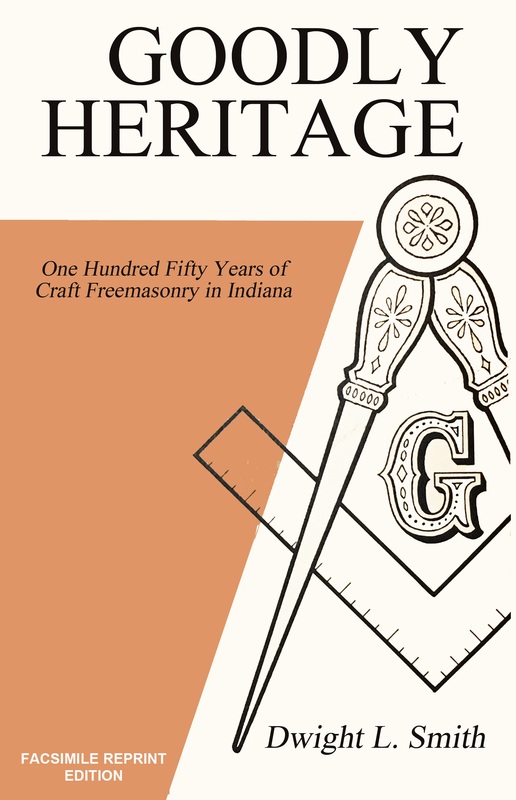 Just 24 short days left in the Bicentennial year of Indiana Freemasonry! As the year winds down and the holidays are upon us, the Library & Museum is making some final display arrangements for a new exhibit for next year’s Founders Day on January 12th. 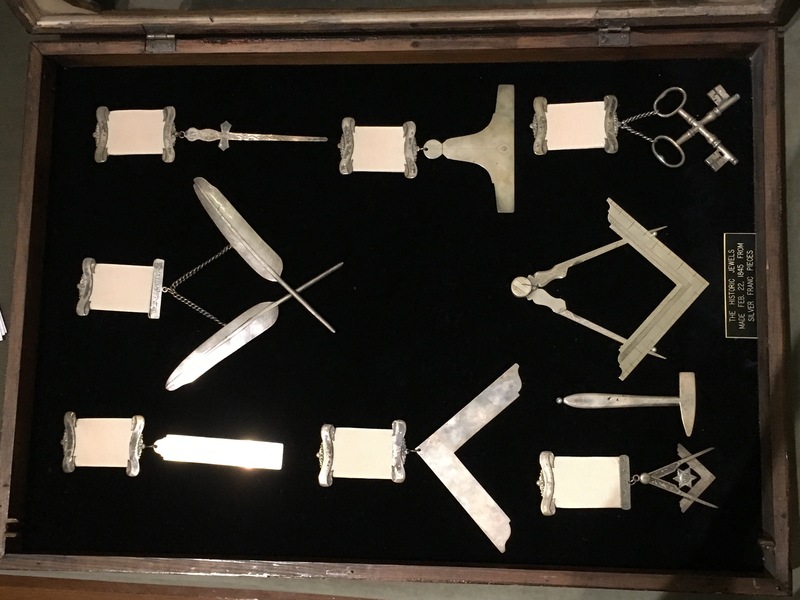 We will be debuting an incredible, one of a kind artifact from the Civil War period that is unlike any Masonic item you have ever encountered. Stay tuned for an upcoming announcement! 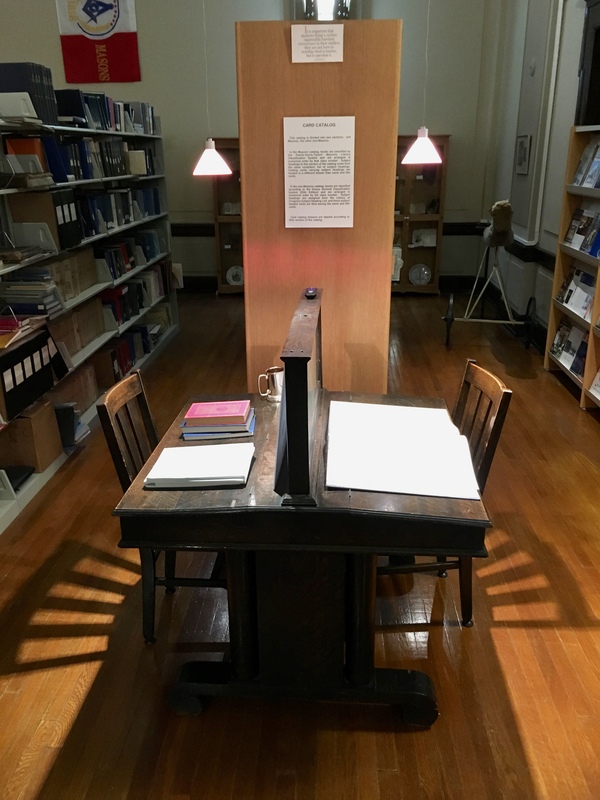 Meanwhile, we have just added some welcome new lighting to our display and reading areas, making it more conducive to actually reading the books and documents in the collection while visiting and working the Library. The Library & Museum will have very limited availability between now and Founders Day due to school hiatus of our intern Cody Hudson and members of our Board being out of town. Please contact us for access. 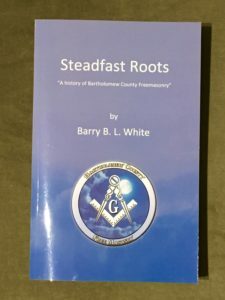 We’d like thank Barry B. L. White for his recent contributions at the Masonic Library & Museum of Indiana over the last few months. 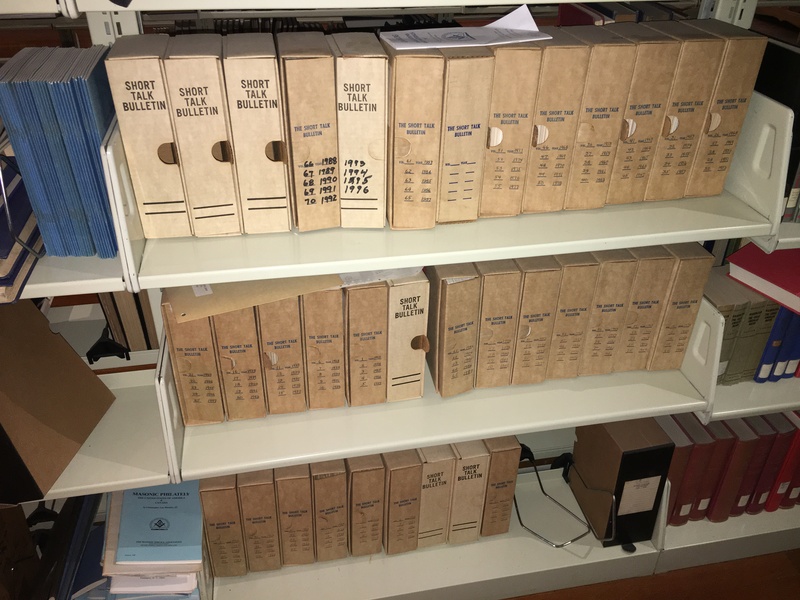 Dwight L. Smith’s enormous collection of photographs from the Indiana Freemason magazine archives and his personal files have needed organization and cataloguing for many years. Barry has been in the process of identifying and creating a master list of the hundreds of photos, and sorting the rows of filing cabinets. Thanks to his work, Smith’s files today are more accessible to researchers than ever before. Brother Barry B. L. White has been extraordinarily busy these past 16 years since he was raised a Master Mason in Hartsville Lodge No. 547, and it doesn’t appear that he intends to slow down. He holds plural memberships in Camon Lodge No. 343 and Hope Lodge No. 150. For several years he served as Lodge Secretary for Hope Lodge No. 150, Camon Lodge No. 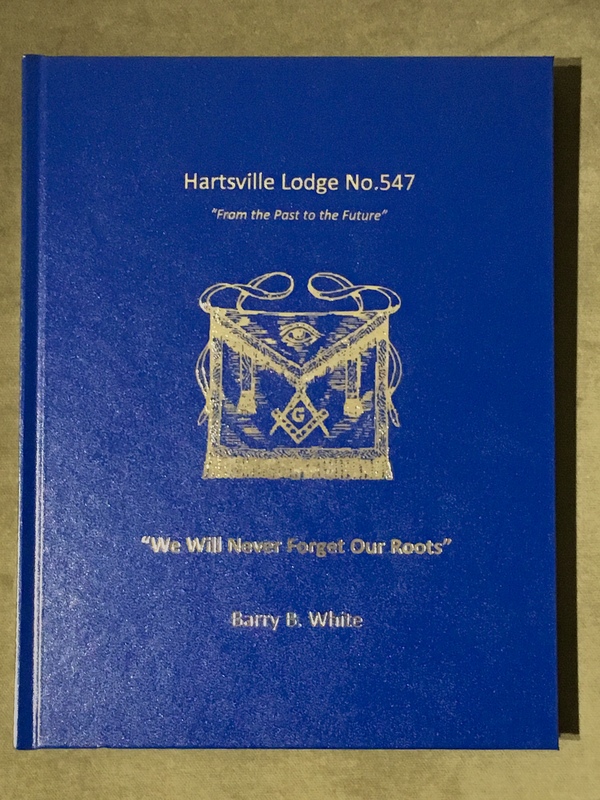 343 and Hartsville Lodge No. 547 at the same time. During this same period, he also served as acting Secretary of High Point Lodge No. 755, prior to the consolidation. He has also served the Grand Lodge as an Area Representative. His two honorary memberships in St. Johns Lodge No. 20 and Nashville Lodge No. 135 are in appreciation of his help and support of these Lodges over the years. In addition to his history books, Brother White has written several training books, one for Secretaries and one for Lodge Officers, and is currently doing research for three additional books. 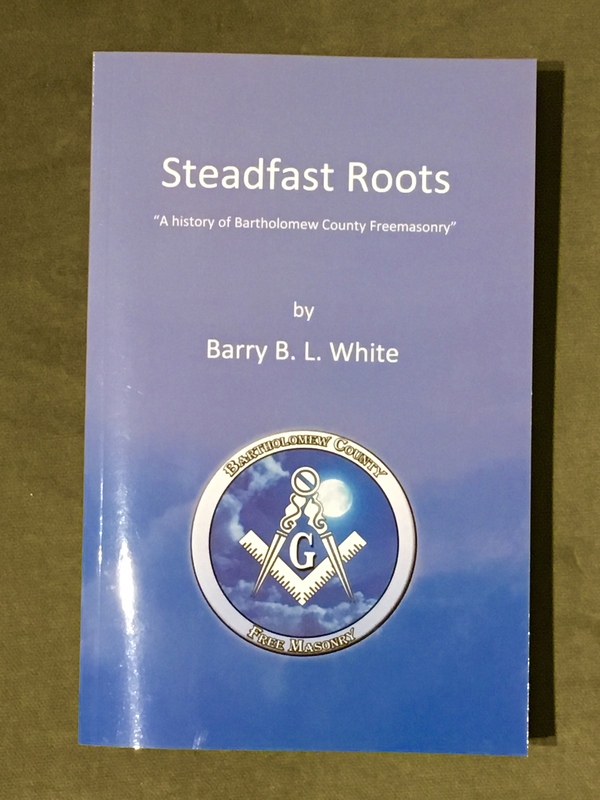 The quarterly newsletter for Bartholomew County Lodges was his creation along with starting the Bartholomew County Past Masters Association. 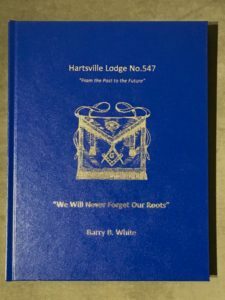 Currently Brother White is developing a Masonic scavenger hunt and Masonic trading cards to use to improve attendance at stated meetings and Lodge work as well as bring the Bartholomew County Lodges closer together. For his boundless dedication to Indiana Freemasonry, he was awarded the Order of Service to Masonry by the Grand Lodge F&AM of Indiana in May 2018. 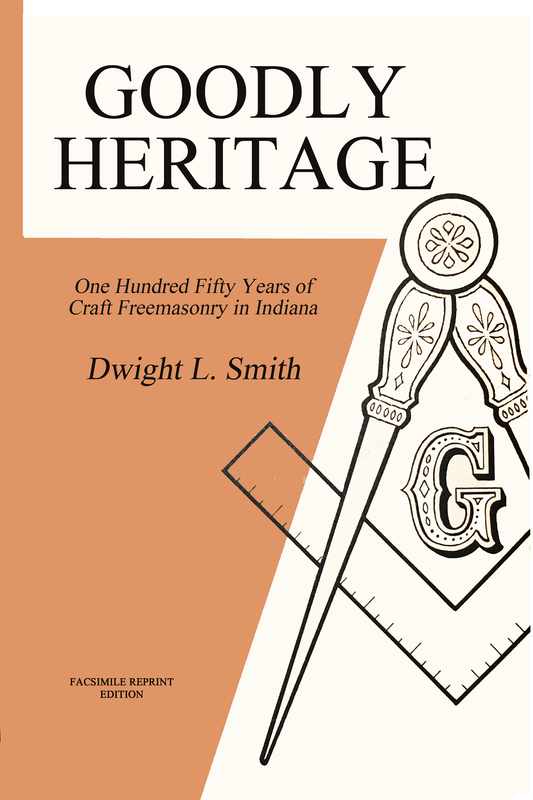 Dwight L. Smith’s long out of print Goodly Heritage: 150 Years of Craft Freemasonry in Indiana (1968) is now available once again in a brand new hardback and an E-book edition from Lulu Press. 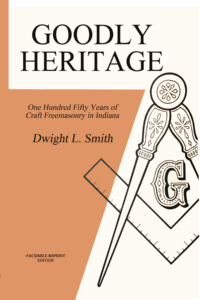 This facsimile edition was authorized by the Grand Lodge of Indiana and produced by the Masonic Library and Museum of Indiana. 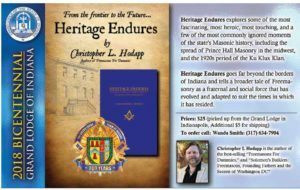 Also available for 2018 and the Bicentennial is Christopher Hodapp’s new historical account, Heritage Endures: Perspectives on 200 Years of Indiana Freemasonry. Available for $25 at the Grand Lodge office in Freemasons’ Hall, or click here for ordering options. 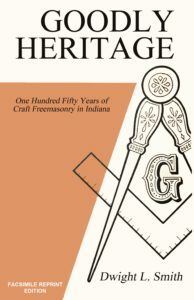 The Masonic Library and Museum of Indiana has just acquired a helpful new volume for Indiana researchers. 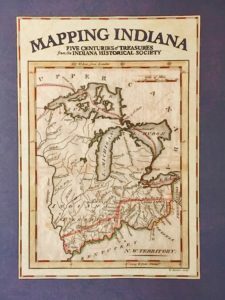 Mapping Indiana: Five Centuries of Treasures from the Indiana Historical Society is an oversized hardback published to coincide with Indiana’s Bicentennial year in 2016. 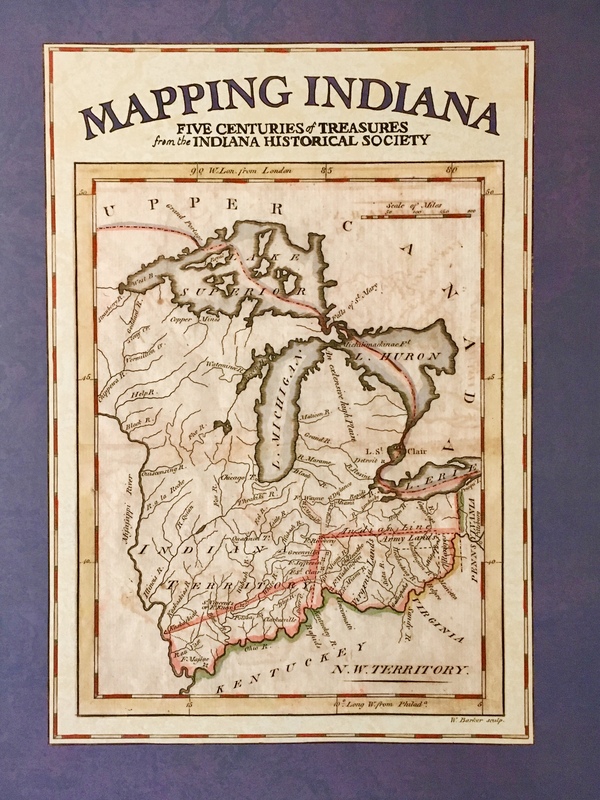 It contains almost 100 antique maps culled from the Society’s archive of more than 1,500, and they illustrate the vast changes in Indiana’s population and development from the earliest French explorers in the wilderness, up through the early 21st century. 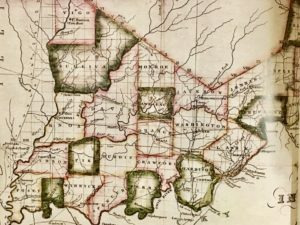 State, county and city maps are presented from various periods, and there is a wealth of detail that can be gleaned from studying when and how our communities developed. 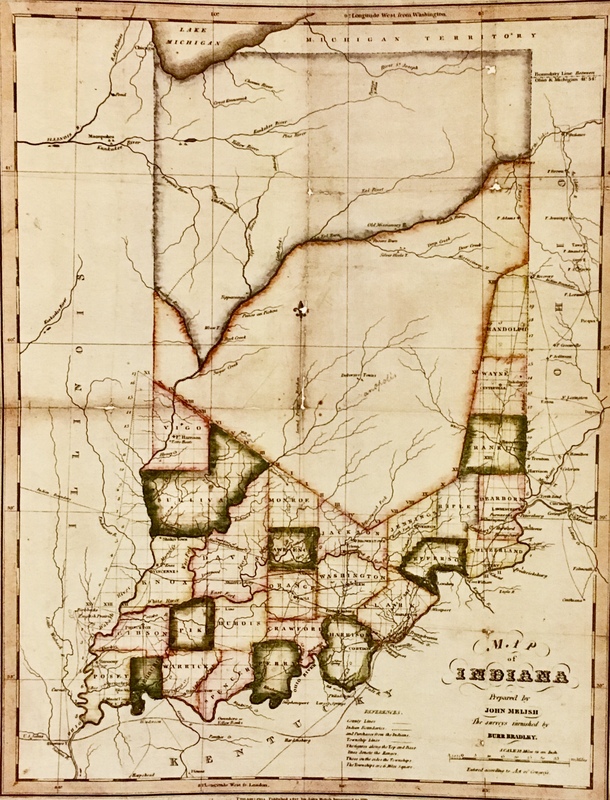 Indiana in 1819, two years after statehood and one year after the Grand lodge of Indiana was established at Madison. Detail of counties and towns in 1819, clustered almost entirely in the southern third of the state. For researchers interested in the Ancient Accepted Scottish Rite, Christopher Hodapp has donated several important works of interest. Morals & Dogma: Annotated Edition by Albert Pike; Arturo de Hoyos, 33, G.C., Grand Archivist and Grand Historian; Contributions and Glossary by Rex R. Hutchens, , 33, G.C., Past Grand Master; Foreword by Ronald A. Seale, 33, Sovereign Grand Commander. First published in 1872 by the AASR- Southern Jurisdiction, Pike’s Morals and Dogma is one of the most insightful works ever prepared for Freemasonry. It is a collection of thirty-two essays which provide a rationale for the Scottish Rite degrees. It encompasses a study of Freemasonry, wise philosophy, ancient mysteries, mythology, ritual, and religion. It serves the useful purpose of putting Masonic morality and ethics within the context of the general society, and bids man to think large–to cast aside the petty concerns of everyday life and to improve ourselves. This new edition includes the complete original text, but has been fully updated and improved. Approximately 4,000 notes reveal the original sources used by Pike, clarify passages, suggest further reading, and include cross-references. New “ready references” reveal scriptural sources. Profusely illustrated with many images from the original sources Pike had before him when he prepared the original edition. 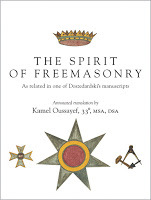 The Spirit of Freemasonry was originally written in 1804 by Jean Doszedardski, a Polish member of French lodges in Paris, and eventually, New Orleans. 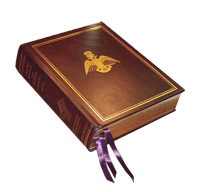 It is filled with early descriptions of haut grades ritual, different customs, lodge practices, even table lodges. The translation and annotation was accomplished by Illus. Bro. 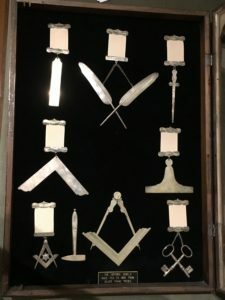 Kamel Oussayef, who has worked for more than a dozen years at the Scottish Rite Northern Masonic Jurisdiction’s Masonic Museum and Library in Lexington. This one seems to have appeared with no fanfare whatsoever, which is astonishing given the workmanship put into reproducing its 520 pages. The work is from the period when Napoleon Bonaparte proclaimed and crowned himself Emperor of the French and also, among his many other self-proclaimed titles, “the protector of Freemasonry.” In return, the Masons of France founded Saint Napoleon Masonic Lodge in 1804, which became one the best attended lodges in Paris. This document came from that source. The document contains 225 beautifully calligraphed pages and four symbolic drawings hand-painted with shimmering colors. The book, and more particularly its footnotes, will cast a brighter light on Masonic texts, symbols, rituals, definitions, secret alphabets and calendars that up to now were thought to be difficult for the uninitiated to comprehend. Some of these writings are dissertations on the history or philosophy of humankind. Others are fascinating descriptions of old rituals that have since been transformed to suit the contemporary mind. Included is the protocol of a “Table Lodge”. It is clearly described and its strange origin and vocabulary are explained. To the initiated, “firing a cannon loaded with strong red powder” simply means “to drink a glass of red wine.” Its beautifully reproduced calligraphic pages also include a handwritten account of early French hauts grades up to the 25th degree—then considered the “highest” degrees developed in 1804, and what transformed eventually into the Scottish Rite here. 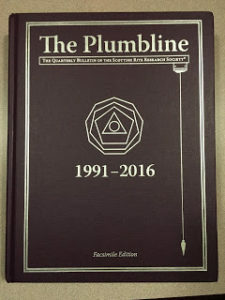 After 27 years of publication, the Scottish Rite Research Society has collected together every single issue of their outstanding quarterly newsletter, The Plumbline 1991-2016, into one complete hardbound, facsimile volume. Every page, every article, every photograph is reproduced, and it fills more than 660 pages of indexed gold. To call The Plumbline a “newsletter” does it a horrible disservice, as the substantive articles that have filled it all these years are NOT lighthearted announcements of meetings, elections, and event dates. There is WONDERFUL information to be found here, by many of the top Masonic authors and researchers of the last three decades – as well as outstanding brethren you may not have heard of before. Most of these papers were specially written for The Plumbline and not simply too short for the SRRS’s hard-backed, thicker cousin publication. And they are not just about the Scottish Rite, either. Over the years, The Plumbline has been edited by Pete Normand, S. Brent Morris, John Boettjer, Forrest Haggard, Jim Tresner, Michael Halleran, Robert M. Wolfarth, and today by Adam Kendall. 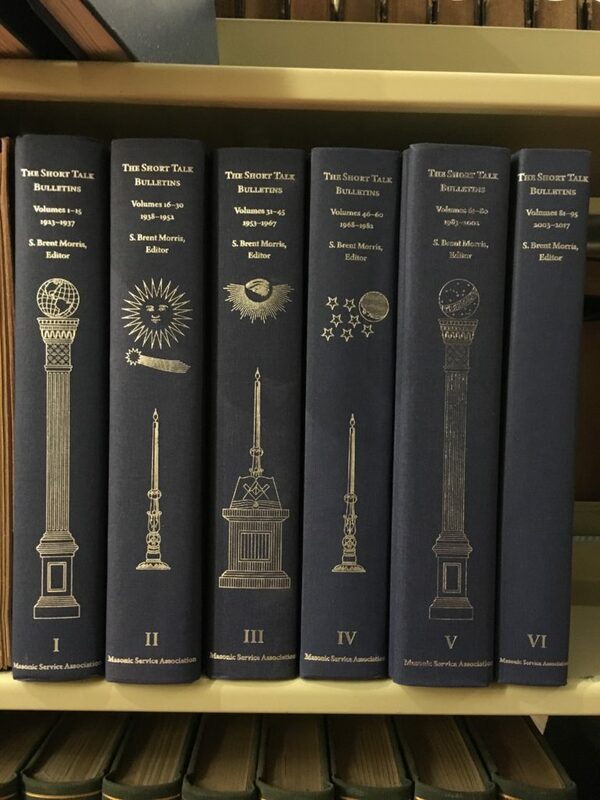 And finally, thanks to contributions by several brethren, the Library’s collection of London’s Quatuor Coronati Lodge of Research’s annual publication of original papers, ARS QUATUOR CORONATORUM, is now complete. The online index for all AQC volumes published since 1886 through 2016 can be seen HERE. All books described above are for reference use in the Library only, and may not be removed. However, we are able to loan other books from the Collection under certain circumstances. Please contact the Director or one of our volunteers to request any library loans. The Masonic Library and Museum of Indiana will be open and staffed during the Annual Communication of the Grand Lodge of Indiana F&AM on Tuesday and Wednesday, May 15th and 16th, 2018. Please take the opportunity to visit and see our latest exhibits. 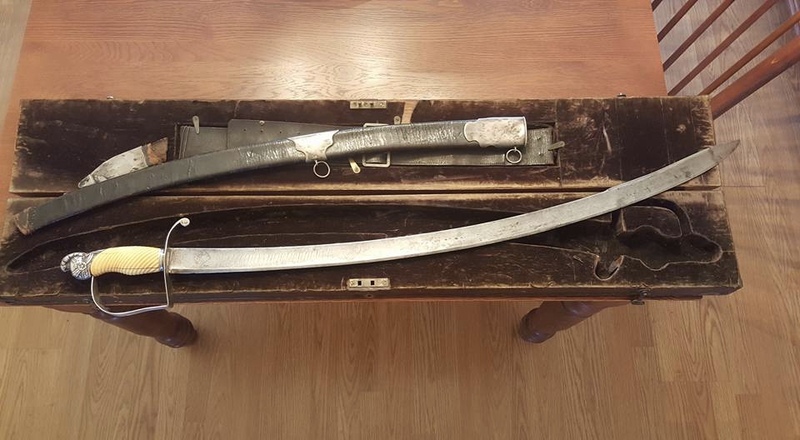 On display for a limited time: the Tippecanoe battle sword of Kentucky Grand Master Joseph Hamilton Daveiss (on loan from the Grand lodge of Kentucky AF&AM), and the silver officers’ jewels of Versailles Lodge No. 7 briefly stolen during the Civil War by Morgan’s Raiders, and returned by order of General John H. Morgan himself.